First Norfolk Women's Ministry presents a fun night of dinner, shopping, door prizes, and an inspirational message for you and your girlfriends! 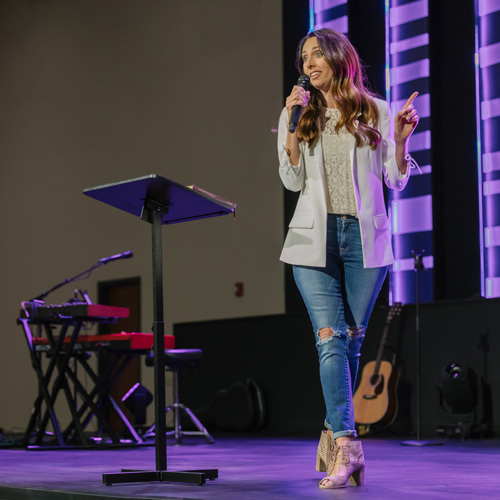 Girls Night Out on May 3 will feature guest speaker Susan Thomas, author of "Girlfriend Revolution" and "The Best Life," and music by the Regent University Worship Collective. Buy your ticket on or before April 21 for the early bird price of $15/ticket, or pay $25/ticket after April 21. Buy tickets here! Enjoy shopping at The Marketplace Gift Shop - see the entire vendor list here. New Women’s Bible Study! We Saved You A Seat - Finding and Keeping Lasting Friendships by Lisa - Jo Baker, a 7-Session Bible Study beginning February 12, 13, & March 3. KEMPSVILLE ROAD LOCATION: Tuesday Mornings (begins Feb.12) at 9:30 AM, Room 300. Wednesday Evenings (begins Feb.13) at 6 PM, Room 317/319. VOLVO PARKWAY LOCATION Sunday Evenings at 6:00 PM, Room 127. Wednesday Mornings (begins Feb. 13) at 9:30 AM, Room 127. Book Cost: $13. Full details: women@firstnorfolk.org or 802.9519. Join us in the Fellowship Hall at First Norfolk on Kempsville Road for this popular, exciting event for women of all ages. 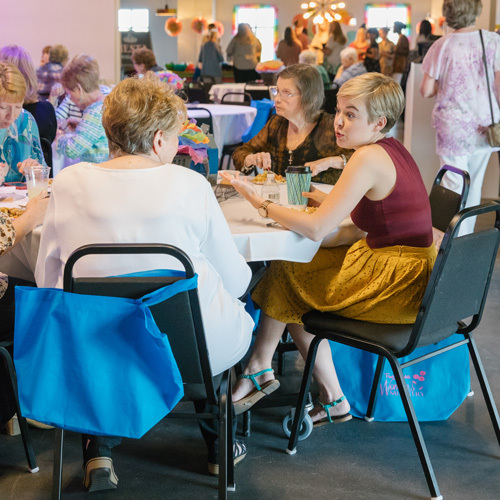 Each month women gather for a one hour luncheon to mingle with friends, make new friends, and listen to an inspiring speaker. Usually meets the second Tuesday of each month except for June, July, and August. Meets at 12 noon in the Fellowship Hall at our Kempsville Road Location. Childcare is available by RSVP. Tickets are $6 and are on sale in the Lobby. Details: Liz Fentress, women@firstnorfolk.org or 802.9519. Denise is a lifelong advocate for “Living Your Best Life” which includes six pillars of health: Proper Nutrition, Regular Exercise, Emotional stability, Proper Nerve Supply, Sufficient Rest and Prayer and Meditation. She believes that "Your Health Is Your Wealth" and that with the correct knowledge and a personalized nutritional plan, it is possible to enjoy a vibrant life without disease. Denise holds a Master of Science Degree in Clinical Nutrition. She offers nutritional consulting services through Nutritional Health Solutions, and is a Type 2 Diabetic Sales Consultant for AstraZeneca Pharmaceuticals. She enjoys competing in running events, tennis, traveling and spending time with her family. Denise and her family have been members at First Baptist of Norfolk for 29 years, having served in youth and children’s ministry. They have two wonderful adult children, and 2 beautiful granddaughters. This ministry of First Baptist Norfolk provides encouragement, support, and friendship for military wives. All ladies married to military men are welcome and invited! We meet the fourth Thursday of each month (except June, July, August, and December) at 10 am in the Parlor at our Kempsville Road Location. A quality preschool and homeschool program is provided. Find out more about the Military Ministry. Mom to Mom begins October 4. It meets the first and third Thursday of each month at our Kempsville Road Location, Room 300, from 9:30-11:45 am. Mom to Mom is a biblically based ministry designed around the Titus 2:4 concept of older women teaching and encouraging younger women. Free childcare/preschool drop-off is available. Book & registration fee: $20. Scholarships available upon requests. Click here for more information and to register, or call 802-9516. 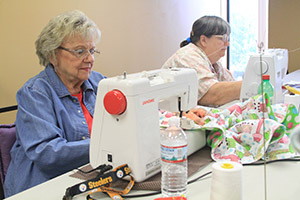 Project Comfort is a sewing ministry whose mission is to bring comfort to people -- whether that's making a pillow for a woman with breast cancer, an outfit for a newborn in need, or a crocheted hat for a homeless person. Project Comfort is an unpaid volunteer ministry that is completely self-funded through donations. There is much work to be done, and you can be involved! If you're interested in volunteering or donating to Project Comfort, please contact Debbie Allen at djallen1059@gmail.com. Learn more about Project Comfort in this blog post. 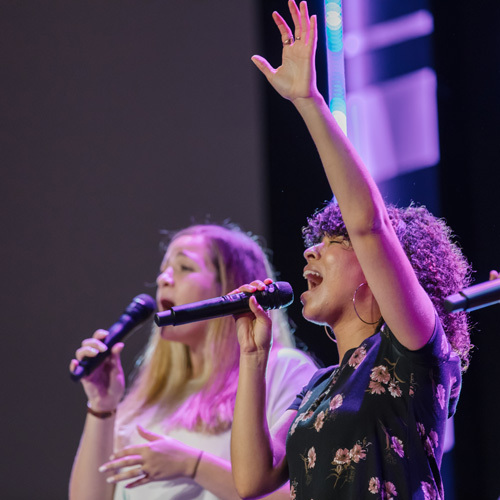 First Baptist Norfolk Women's Ministry works in partnership with the Cancer Care Foundation of Tidewater performing acts of kindness and caring to those struggling with cancer. Our volunteers offer an encouraging word and a snack to eat while having a positive impact on patients, caregivers, nurses and technicians. Ministers to women who are survivors of cancer by providing fellowship and encouragement relative to their needs. Specifically designed for Women. Please join us Sunday morning!